Neck Acne is acne on the front or back of the neck. Acne on the front of the neck is very similar to facial acne, both occurring on very sensitive areas of the skin, and it is treated similarly. Acne on the back of the neck is more similar to body acne than it is to facial acne. However, skin on the back of the neck is thicker than facial skin, making it capable of producing larger and more severe acne lesions. 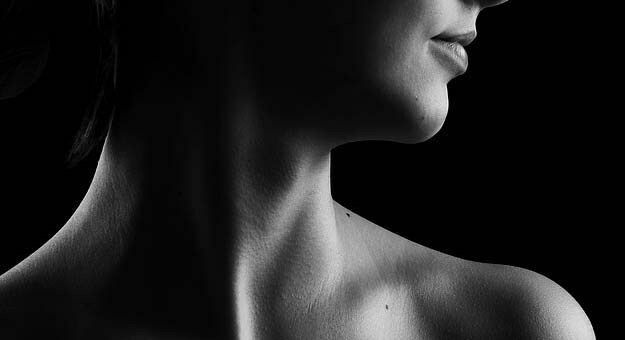 Neck acne can be found in both males and females, but occurs more frequently in males. It is caused by pores which clogged due to a build-up of cells which stick together and cause a plug. Then bacteria and skin oil get caught inside, causing redness and pus to develop. Try wearing shirts without collars or crew neck shirts. If you must wear collared shirts, try wearing soft cotton shirts which will be less harsh when rubbing against the skin. Avoid to pick the area. Take action to stop the irritation if possible. Stay aware of anything that might irritate the back of your neck. Be aware of other sources of irritation. The Neck Regimen. The Neck Regimen is the most effective topical treatment. It uses the combination of 2.5% benzoyl peroxide and 10% glycolic acid. This treatment can clear up even tough to treat cases of neck acne. However, the process of it is just as important as the products. The Neck Regimen must be followed precisely to be effective. Accutane (Isotretinoin). It is an option for severe, widespread, and potentially scarring acne. Accutane is a systemic oral treatment which is taken for 15-20 weeks and produces long-term remission of acne symptoms in about 2/3 of people. But it comes with a large range of side effects including causing severe birth defects, and must be administered in close partnership with your physician. Ongoing treatment. Treatment must continue until your body outgrows the disease, which the majority of people do for the most degree after adolescence. Aside from Accutane, there is no other topical or oral treatment for acne which produces long lasting remission of acne symptoms. However, ongoing treatment can get the skin completely clear and keep it that way for years if need be.